This weekend, top industry professionals from Television/Music/Entertainment will all be under one roof to share Public Relations knowledge and more with college students at DePaul University’s PRpalooza. 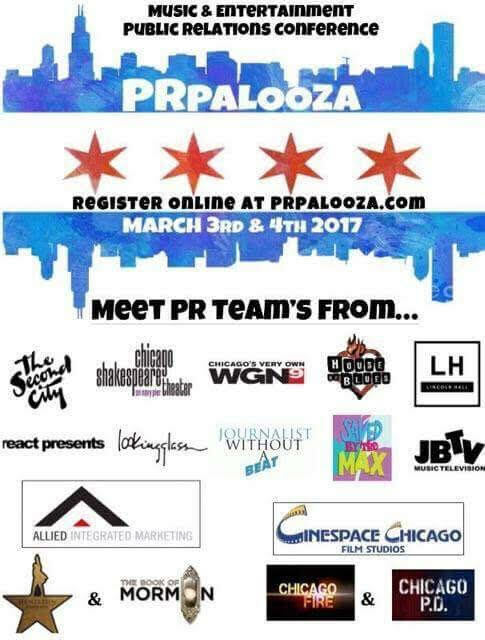 PRpalooza is a 2-day event taking place in Chicago from March 3rd to March 4th. Attendees will have the opportunity to meet and network with these industry leaders , visit many different venues (including Lincoln Hall, House of Blues, WGN-TV and more) and attend panels & Breakout Sessions. One of those professionals from the Music & Entertainment industry you can meet and catch at PRpalooza is me, Tre G. – Journalist Without A Beat. If you’re attending this weekend, be sure to stop by my Breakout Session on Saturday March 4th at 1:30pm-3pm titled Take No L’s: How To Become A Bonafide Journalist On Your Own. Come learn some different tips and techniques that can aid you in becoming the music journalist you want to be. You’re guaranteed to have a great time. Tickets for the 2-Day event are officially sold-out.